Keesler AFB is located on the Gulf Coast in Biloxi, Mississippi. The base serves as the headquarters of the Second Air Force and the 81st Training Wing, making it one of the largest training bases in the USAF. The 81st Training Wing operates as the center for computer, technological and meteorological training. 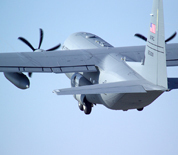 The 45th Airlift Squadron and the Air Reserve Command 403rd Wing are also located at Keesler. The area surrounding Keesler is very military friendly and is popular among retirees. It is only an hour east of New Orleans, LA and an hour west of Mobile, AL. This Keesler AFB directory features the critical info you’ll need to navigate through the many facilities and recreational opportunities available on base. Keesler Federal Credit Union - Larcher Blvd.